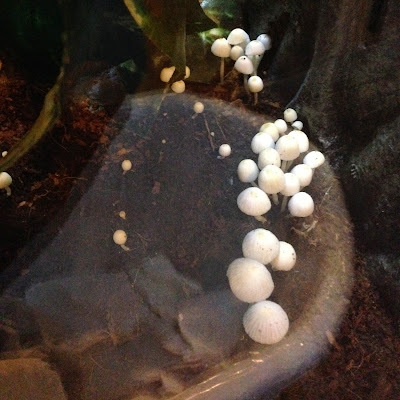 Over the past three days I have observed a strange and pretty cool phenomena – the rise of a colony of mushrooms in my vivarium. I have been keeping my frogs and toads in a vivarium of various shapes, sizes, and iterations for the past three years, but the only ‘alien life’ that I have encountered before this week has been limited to the occasional mold and fruit flies. 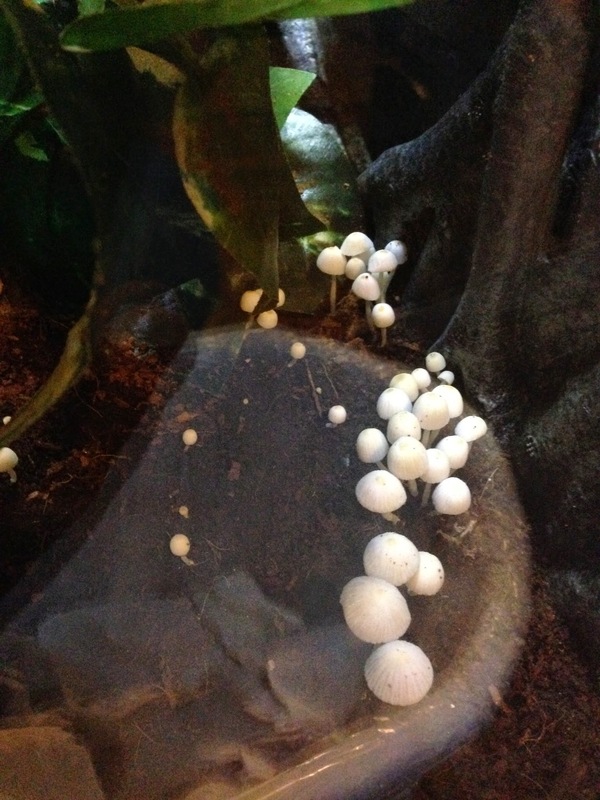 Getting a true fungus to grow in captivity is a sign of a health micro-ecosystem, and now that the caps have fully opened, these mushrooms won’t be around for long, returning to the substrate where they will regroup and possibly return another day. Toadstools for my toads? Hilarious. It shocked me when they initially appeared because it all happened in a matter of hours!